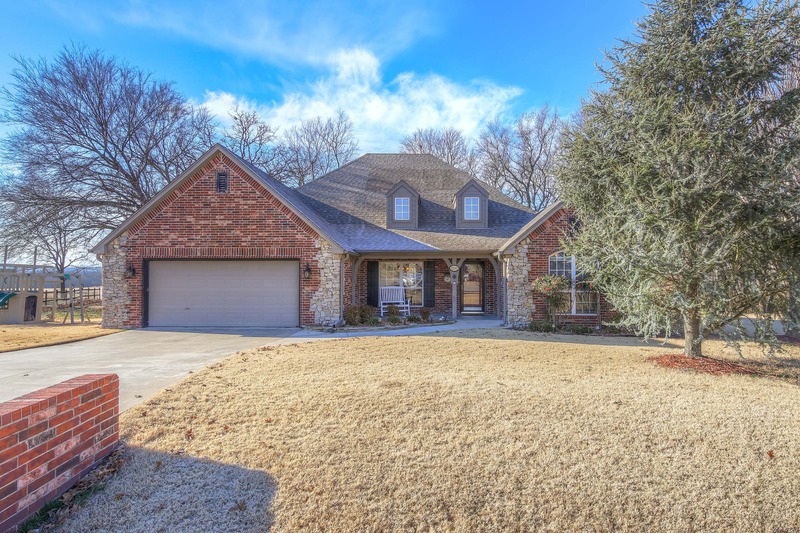 22542 Riverwood Drive, Claremore, OK, 74019 - Photos, Videos & More! Immaculate home in Riverwood Estates on 1 Acre lot w/ Amazing Views of Pond and Mature Trees. 3Beds down w/ office 2 baths on 1st Floor. Recently added Game Room up. Formal dining, spacious living w/Brick fireplace. Kitchen w/island & large nook. Master Suite w/walk in shower, whirlpool tub, walk in closet & dual sinks. Extended Deck with Pool and Playground!